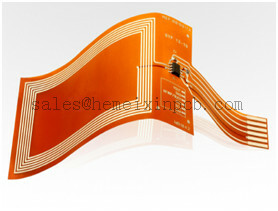 Product categories of Flex Pcb Manufacturer, we are specialized manufacturers from China, Flexible Circuit Substrate, Complex Flexible PCB suppliers/factory, wholesale high-quality products of Custom Flexible Printed Circuits R & D and manufacturing, we have the perfect after-sales service and technical support. Look forward to your cooperation! Hemeixin PCB is the best rigid Flex Pcb Manufacturer, It can provide our customers with rigid flex combination boards with a great variety of technologies, from complex multilayer rigid flex for commercial applications to high reliability mil-spec printed Circuit Boards. We can turn your rigid flex PCBs in as fast as 72 hours.